Asus has this week hinted that they are working on a new version of their Asus MeMO Pad 7 which is rumoured to support dual SIM cards. The news follows on from the unveiling of their other slightly larger tablets ranging from 8 to 10 inch at the IFS event earlier this year. But its thought the new tablet will be modified Asus MeMO Pad 7 tablet that currently sports a 1280×800 resolution display and is powered by a quad-core Cortex-A7 processor and comes running Google’s Android 4.0 Ice Cream Sandwich operating system. The new MeMO Pad 7 with reference ME175KG and will be powered by a 1.2 GHz quad-core Qualcomm Snapdragon S4 MSM8226 processor whilst offering the same size screen with identical resolution with 3 megapixel front facing camera for video calling, together with a 5 megapixel rear facing for video and photographs. The new and improved MeMO Pad 7 ME175KG will also come supplied running Google’s latest Android 4.3 Jelly Bean operating system and the dual SIM support is sure to offer a unique selling point that most other tablets do not offer. The new MeMO Pad 7 ME175KG is expected to launch in China first and is expected to arrive in stores before the end of the year. 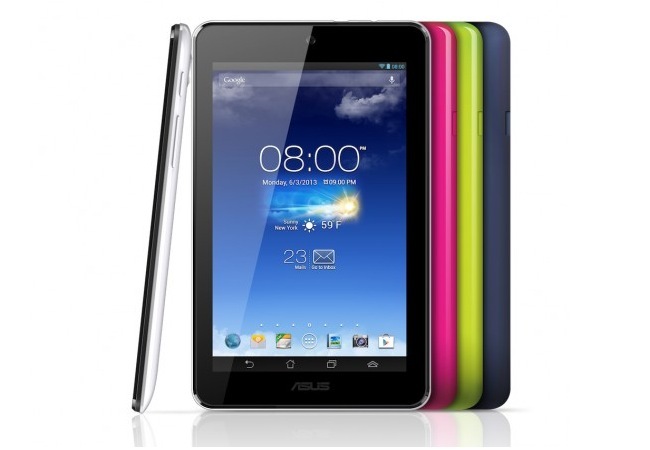 However no information on pricing or worldwide availability has been released as yet Asus.